1. Read 6 chapters of A Big Year for Lily to the girls. Finish reading The Imagination Station: Hunt for the Devil’s Dragon. Read a few picture books with Silas. 3. Finish the 4 Weeks to a More Organized Home Challenge. 7. Finish reading I Thought It Was Just Me (But It Isn’t), Fifteen Minutes, Jab, Jab, Jab, Right Hook, Balancing It All, The Measure of Success, The Traitor’s Wife, Chasing God, In a Pit With a Lion on a Snowy Day, and Praying for Boys. 9. 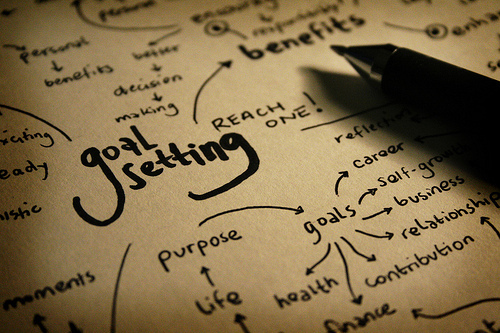 Finish tweaking my talks for the Teach Them Diligently South Carolina Conference. 1. Read 6 chapters of A Big Year for Lily to the girls. Read 3 chapters of More All-Of-A-Kind Family. Read a few picture books with Silas. 3. Make one project from my Do-It-Yourself Projects I Want to Try list. 5. Work on memorizing & reviewing Romans 1:1-29. 7. Finish reading I Thought It Was Just Me (But It Isn’t), Jab, Jab, Jab, Right Hook, The Measure of Success, The Traitor’s Wife, In a Pit With a Lion on a Snowy Day, and Praying for Boys. 9. Finish tweaking my slides for the Teach Them Diligently South Carolina Conference. 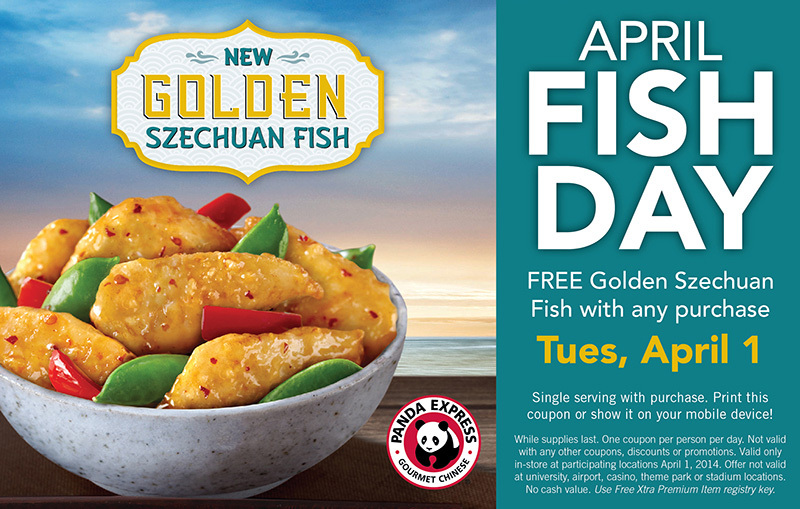 Panda Express is offering a coupon good for a free single serving of Golden Szechuan Fish with any purchase on Tuesday, April 1, 2014. Simply click here and either print or show the available coupon from your mobile device. This coupon is valid April 1, 2014, only, at participating locations. One coupon per person. Coupon available while supplies last. 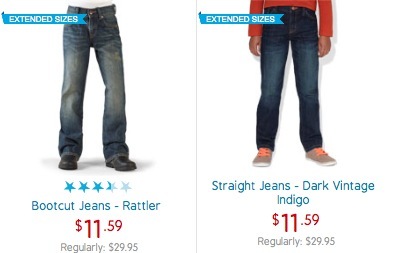 The Children’s Place: 25% Off Everything = Jeans $8.70 Shipped! 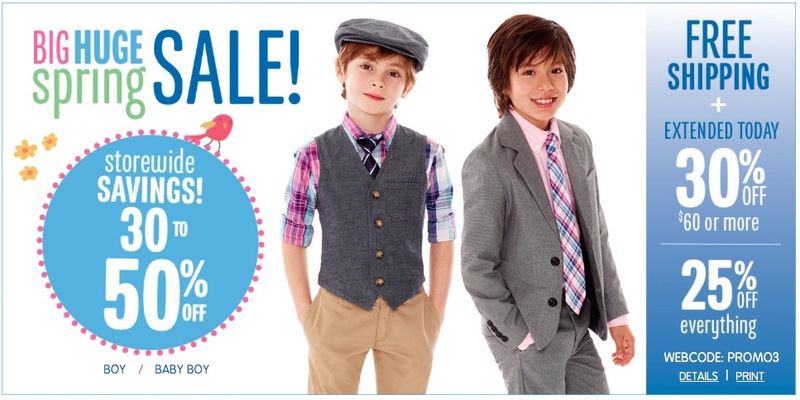 The Children’s Place is running a big sale today where you can get 25% Off Everything when you use the coupon code PROMO3 at checkout. You’ll also get free shipping on every order! Also, if your order totals $60 or more, you’ll get 30% off the entire order! So don’t forget, use the coupon code PROMO3 at checkout to take 25% off your order. This sale is valid today, March 31, 2014 only. Eggs are not just for breakfast, they make great snacks and delicious dinners. Although the price of a carton of eggs has increased some; they are still cheap and healthy. Plus, they are loaded with protein and vitamins B12, A, D, and E.
If you’re looking for a simple way to stretch your grocery budget… here are some ways eggs can help you do just that! Eggs can be served in numerous ways for breakfast. There is the basic scrambled, fried, and poached. Or, if you would like to get really creative try a frittata, omelet, or soufflé. Eggs really are a great way to start the day and there are numerous breakfast egg recipes. I like to keep hard-boiled eggs in our fridge for anyone looking for a snack. They can be packed into lunch boxes for school, work, or for us on-the-go homeschool moms. Eating a hard-boiled egg after a rigorous workout can also give you that much needed protein boost. Snack time, with eggs, can be simple, nutritious, and kind to the wallet. During the spring and summer, my hens lay many eggs. In order for my family not to grow tired of eggs, I have amassed quite a collection of egg recipes. I never knew there were so many ways to serve them. 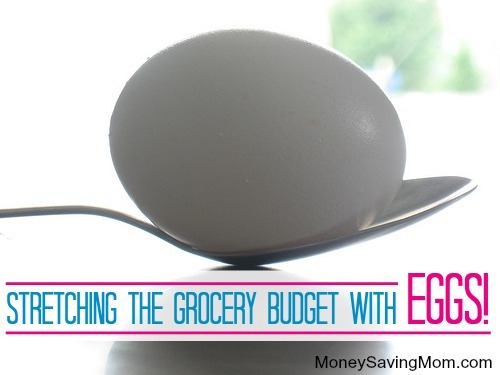 Even if you are buying your eggs, these are very economical dinners. Here is a recipe that we particularly enjoy. Add tomatoes and spices to a skillet and heat to simmer. Carefully add eggs to mixture without cracking the yokes. Cover skillet and simmer until eggs are poached. Once eggs are done, sprinkle cheese on top and allow to melt. Note: I often double this recipe. What are your favorite ways to serve eggs? Tanya married a farm boy named James and together they are restoring his family farm after 20 years of neglect. When Tanya is not homeschooling their three children or working on the farm, you can find her concocting something in the kitchen or writing on her blog Seven Springs Homestead. 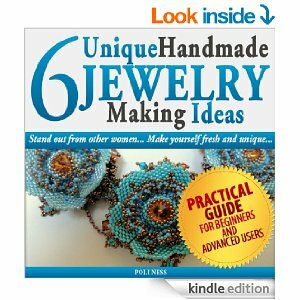 Download a free copy of 6 Unique Handmade Jewelry Making Ideas: Practical Guide on How to Make Jewelry. 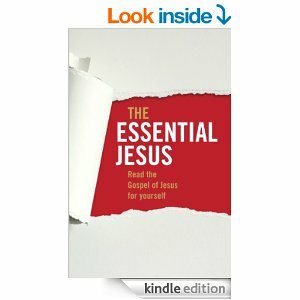 Download a free copy of The Essential Jesus. 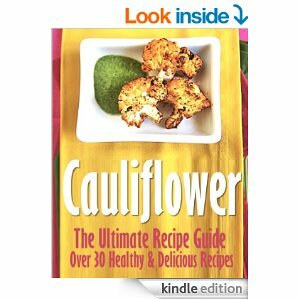 Download a free copy of Cauliflower: The Ultimate Recipe Guide. 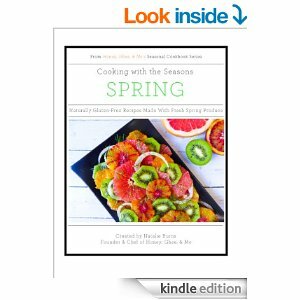 Download a free copy of Cooking with the Seasons: Spring: Naturally Gluten-Free Recipes Made With Fresh Spring Produce. 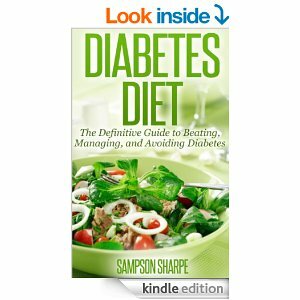 Download a free copy of Diabetes Diet. 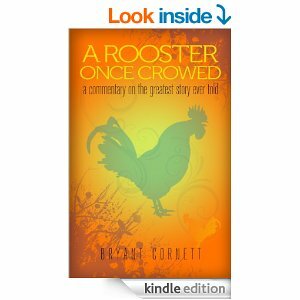 Download a free copy of A Rooster Once Crowed: A Commentary on the Greatest Story Ever Told. 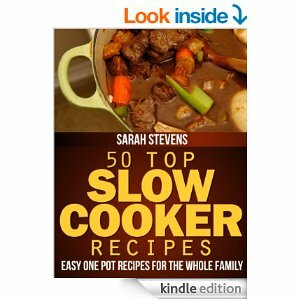 Download a free copy of 50 Top Slow Cooker Recipes – Easy One Pot Recipes For The Whole Family. 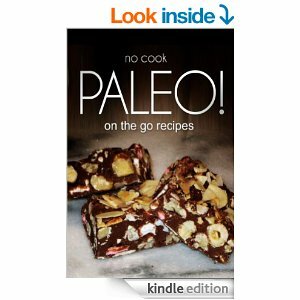 Download a free copy of No-Cook Paleo! – On the Go Recipes. 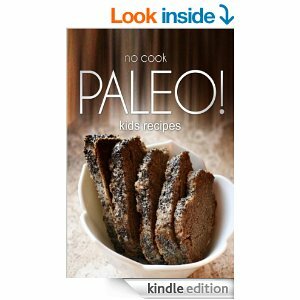 Download a free copy of No-Cook Paleo! – Kids Recipes. 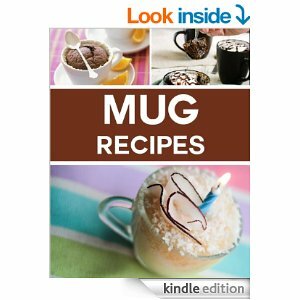 Download a free copy of Mug Recipes: Easy & Delicious Mug Recipes That You Can Make In Minutes. Kellogg’s Family Rewards: Free 150-point code! If you're a member of Kellogg's Family Rewards, use the code APRILFOOLSDAYFUN to add 150 free points to your account! Not a member? Click here to join Kellogg's Family Rewards. Enter code JOINKELLOGG2SAVE to score 50 free points when you register today! Don't forget to use this new code to get your free points!